I’ve been incredibly lucky thus far vis-à-vis book covers. 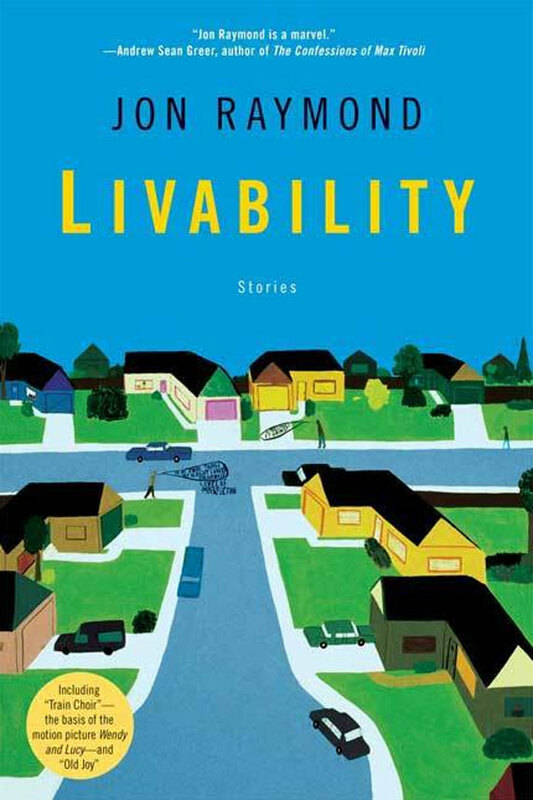 My first book, The Half-Life, featured a painting by my close friend Mike Brophy, and my second book, Livability, featured a painting by another friend, Chris Johanson. In both cases, the artists were integral to the inspiration of the fiction and so the appearance of their art on the cover helped complete the whole circuit in my mind. 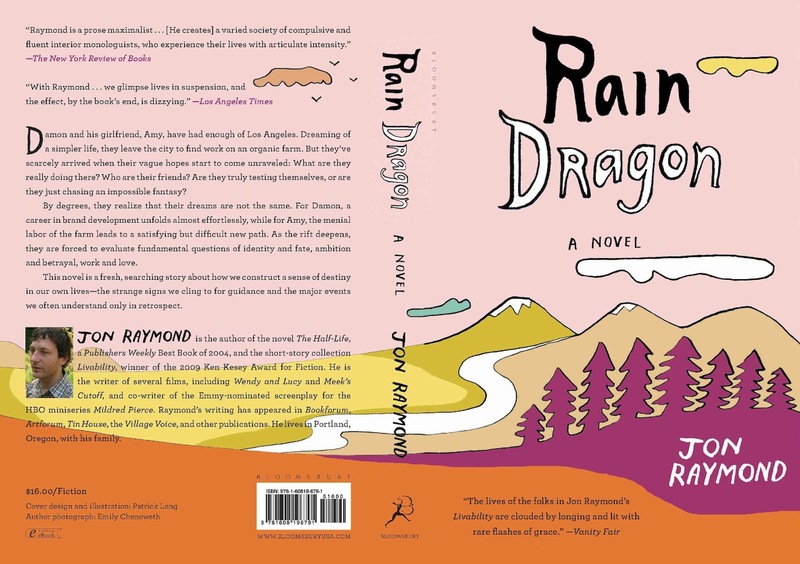 In this new book, Rain Dragon, I was lucky enough to work with yet another friend, the amazing artist and illustrator Patrick Long. For a long time, I’d known that I wanted a cover that echoed the product design of 1970s health food containers, specifically the original carton for Nancy’s Yogurt, an esteemed brand in this region (and also, incidentally, founded by Ken Kesey’s brother). The book involves organic farming and the branding thereof, and so this direction seemed both appropriate and pleasing. 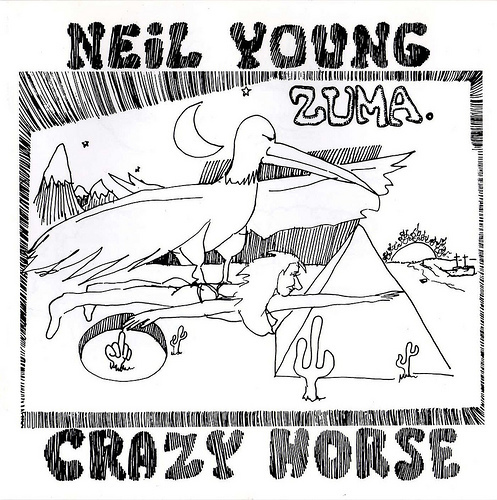 Patrick took the idea and came up with the lovely cover that now graces the book, a rustic mountain scene in the style of Neil Young’s Zuma cover, popping with salmon, oatmeal, and purple, an idealized Western landscape in the great, holistic, hippie tradition. 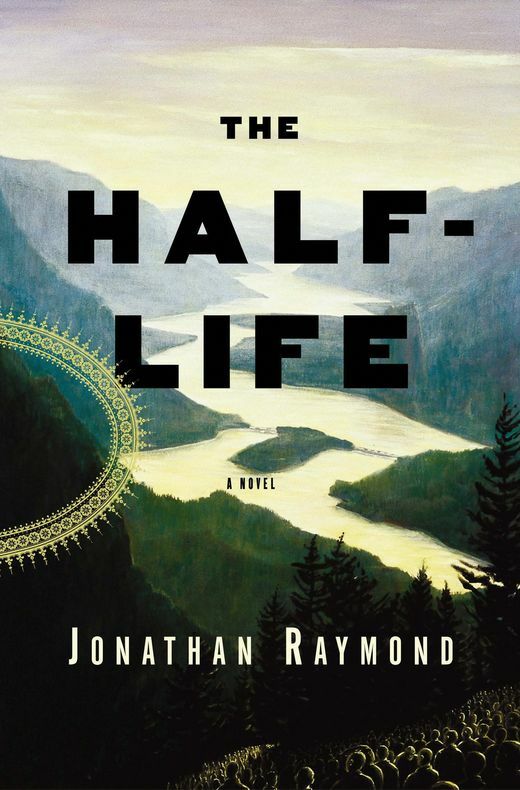 I’ve long been a fan of Jon Raymond. We met years ago via an old girlfriend of his. Some of the projects I’m most proud of have been working with him at Plazm. Nice early scrappy days. Fast forward and he’s on his third book, numerous screenplays, short stories, etc. 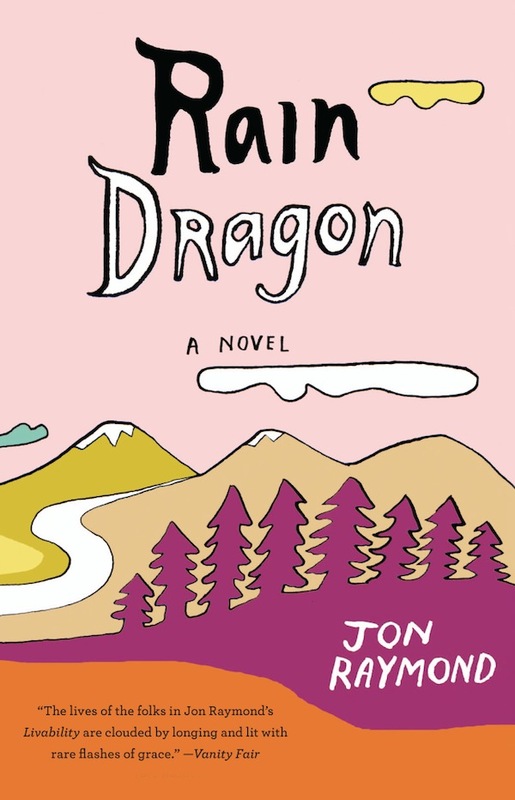 He asked if I could think of a cover for Rain Dragon. He had a good idea of the spirit, and colors he liked. The story has a lot handmade things in it, so it led the cover to express that too. I really like the abundant days of paperback book covers, ’50s-’70s, simple drawings, fast and confident. I was inspired by those, and it seemed to fit, loose and easy. Typically, I start with a lot of ideas, then pare down. I think I sent out eight, then we chose a couple, tossed them around to friends and committees. His publisher chimed in, there was a little back and forth fine-tuning, but it all went well. For me, it was a Big Deal. Books count.